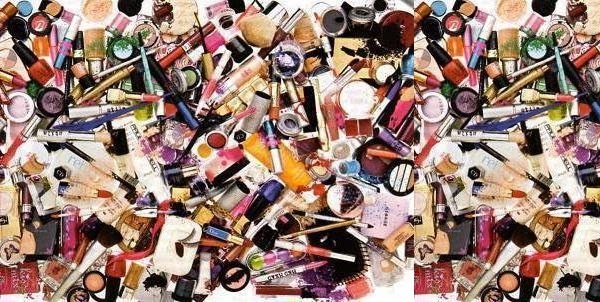 When should you throw away your makeup? I have categorised it according to the types of makeup. It’s true that foundations these days are costly to purchase but it’s also true the most amount of bacteria habitat it liquid and moist substances. It’s recommended that you throw out your foundation after 12 months preferably. If you don’t use your foundation as much, opt for samples. Also avoid storing foundations in moist areas like your bathroom counters. If your foundation starts smelling different than how it’s supposed to, even that’s a sign to throw it away. Mascara’s in my opinion are the products with the shortest shelf lives. The reason being they are most vulnerable to bacteria concerning that mascara wands after use are put back into the formula collecting and depositing bacteria all the way. It’s recommended that they are replaced once in 3 months. Not replacing them could cause itchiness or even sties! This is the product in my opinion will have the most amount of contamination especially if you have acne prone skin. Concealers are commonly used to cover acne spots etc so contamination is a high possibility. It’s suggested that powder and stick concealer’s be thrown after 2 years and liquid concealers after one. These are the type of products that never seem to finish. It may take 2 or 3 years to do so. You should be careful that if it has ingredients that are water based, their shelf life has to be about a year. However if they don’t have. It could stay for about 2 years. If you own powder blushes, shelf lives are same ad face powders. However if its cream blushes, it’s preferably 6 to 12 months as creams are water based. Although eye shadows are powders, they tend to easily get contaminated as you use them on your eyes. Anything used on your eyes u should definitely e careful about! These are non water based. Instead they have oil in them its suggested that you replace them every one year or if you had fallen sick recently. Lip-gloss’s have the same amount of shelf lives. However if they smell ad or are dried up, it’s definitely time to throw them away! If your just confused with all these just keep track with the expire dates on your products. interesting! would you like to follow each other in gfc and bloglovin? let me know! Hi there! thanks for stopping by my blog and commenting. Glad it lead me to yours! Thanks for this post, I had no idea about this! Wow, my foundation is at least a couple years old because I don't use it much. Good to know when to throw it away! PS thanks for following! I'd be happy to follow back! Thanks for sharing these informations :) Great blog. I am now following you via GFC and bloglovin, hope you can follow me back. Thank you for this I'm always weary about foundation and mascara but would never think to throw eyeshadow and face powder away. I can't wait to see your next post! Great post darling! Really informative and helpful! :) Need to go and throw away some of my mascaras now haha! You just reminded me that I should be throwing away my foundation because it does smells abit different now. Thanks for sharing about it I love your article! Anyway thank you for following me dear, I'm also following you back on GFC and bloglovin now! But it is still a good idea to keep track of expiry dates - Styes = EUW!